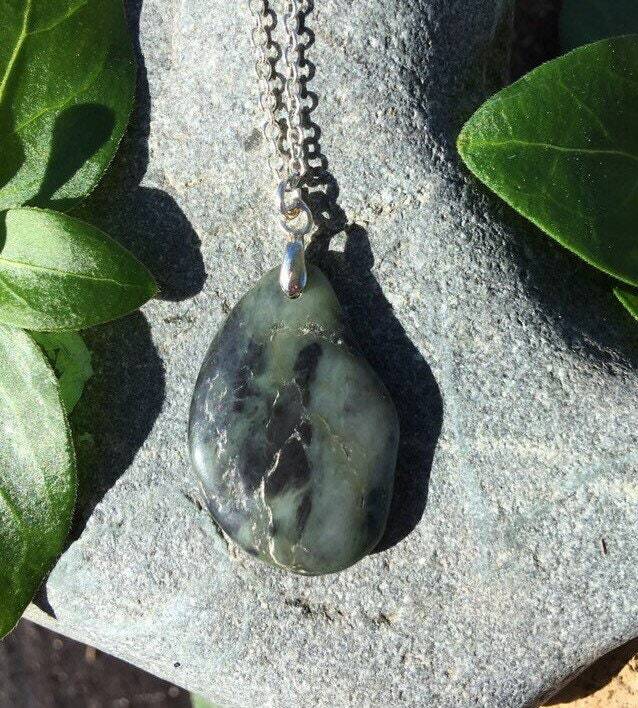 My Dad gets all of his Big Sur jade on the beaches in California when he comes to visit. 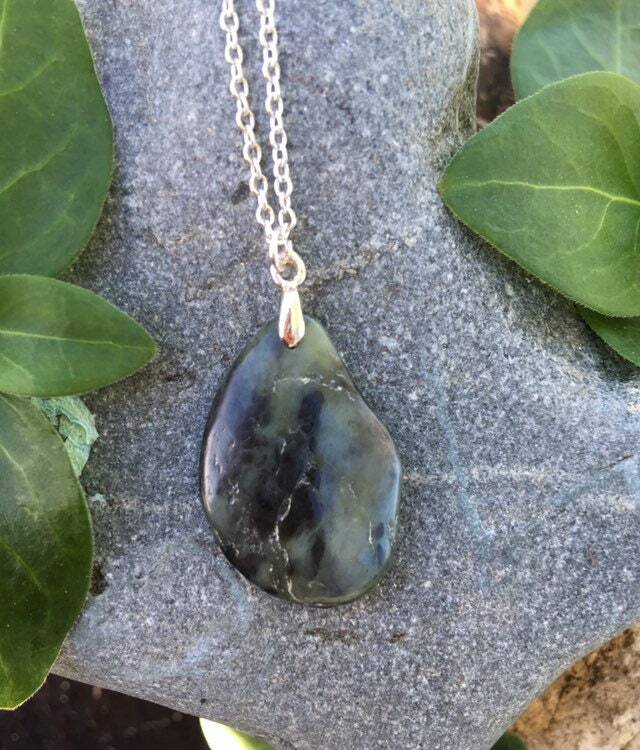 He is making some simple, yet beautiful necklaces using the smaller pebble pieces. All chains are the .925 sterling silver. This stone is 1” long and 3/4” wide. The chain is 18” long. This will be wrapped in tissue paper and mailed First Class in a bubble mailer.